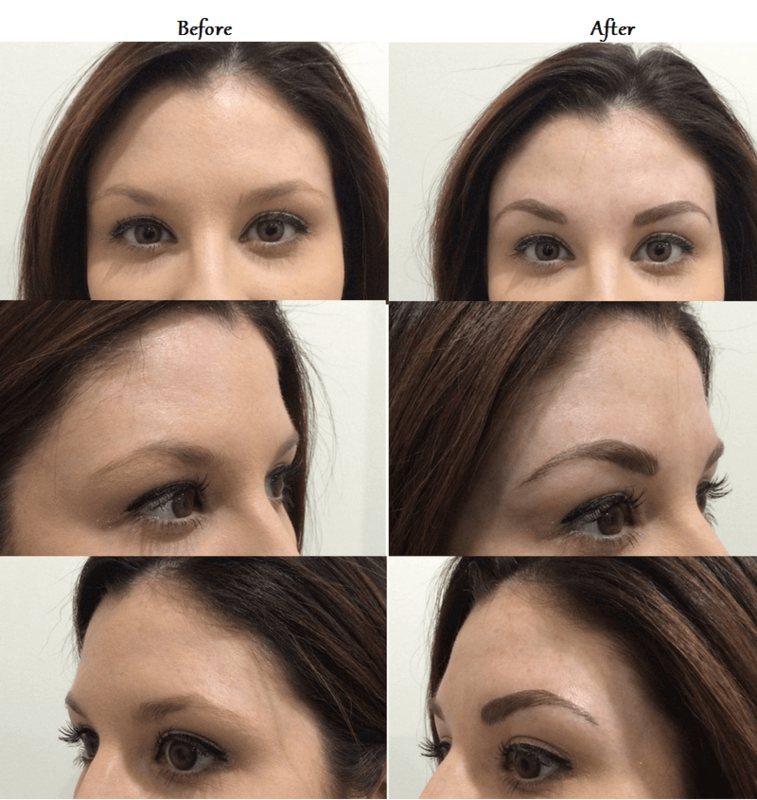 I met with Alison and she explained to me how the procedure would go and asked what I would like my brows to look like. I showed her some pictures of eyebrows that I liked, and explained to her what I did not like about my own brows. Alison then used an eyebrow pencil to draw the "new eyebrows" to show me an example of how it would look. I definitely approved of the pre-drawn shape and fullness! I laid back while numbing cream was applied and Alison found the correct color that matched my natural brow hair color. The color match was perfect and I was so thrilled! The overall time and procedure spent with Alison was about 2 hours, so please plan for that time. The hair strokes are manually done and take precision and perfection…don’t ever rush perfection! The pain is minimal and with my amazing results, I would definitely do it again!